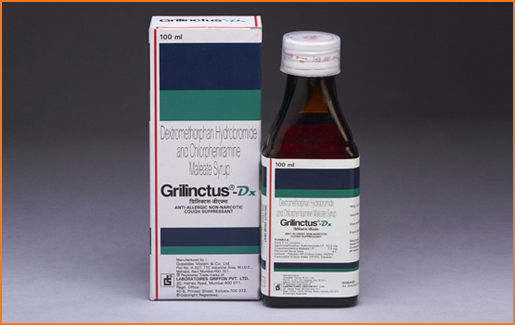 Dextromethorphan Hydrobromide I.P................ 10 mg.
Chlorpheniramine Maleate I.P............................ 2 mg.
Colours : Ponceau 4R (C.I.No.16255), Carmoisine (C.I.No. 14720) Caramel. For the symptomatic treatment of non-productive cough; particularly dry, irritating and allergic, post-operative, smoker's and nocturnal cough.